Sometimes it’s the little things that make a big difference, especially in your job search. You’d be surprised at how many candidates forget ‘common’ courtesies throughout the interview process, even when they know that making a great first impression is crucial. Remember, just as you are interviewing the company to make sure they are a good fit culturally for you, they are also hiring YOU, the person — not just the skills on your resume. Most companies would prefer a professional and polite candidate over a rude or unprofessional one. Sadly, common courtesy, like common sense, is not all that common. The good news for you is that it is possible to shine like a diamond in a coal mine by practicing niceties and remembering your manners during the interview process. Now, it’s possible you don’t need this advice, as you are probably a courteous person the majority of the time, but interviews can be a bit nerve-wracking. It’s good to assume you are ‘on’ the second you exit your car the day of the interview. One company I worked with had the owner’s wife work the reception desk and believe me, they took note of how candidates treated her! In addition to being genuinely pleasant to all you encounter, job interview thank-you notes are a much neglected courtesy. A brief card or email to each person who interviewed you is appropriate, and should be sent the day after the interview. Make sure you know the correct spelling of the name, and if you send the note to more than one person, individualize each one. The purpose of the interview thank-you card is simply to thank the interviewer for their time, and to state your interest in the position. Of those two items, the thanking is the most important. A full-court press at this stage will dilute the effectiveness of the thank you. 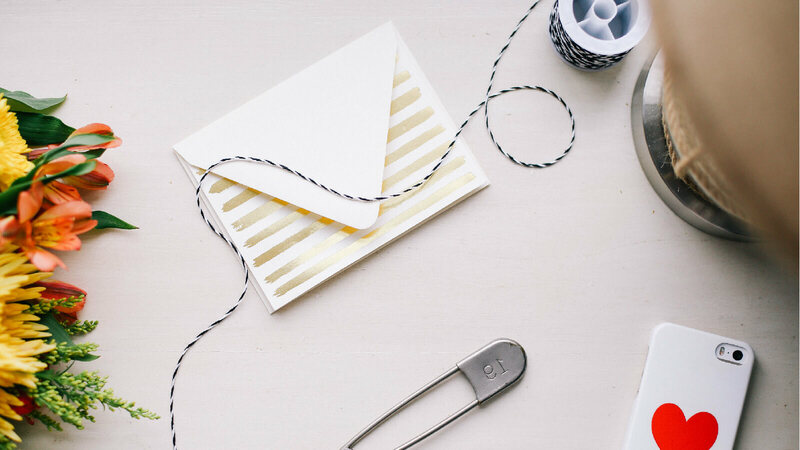 Emailed thank-you notes are also perfectly acceptable, but handwritten ones on a simple, elegant note card are rare enough to really make you stand apart from the crowd. This doesn’t go without saying, but if you do opt for a handwritten thank you, make sure your writing is legible. It’s all about making a positive impression and showing yourself as the best investment. So good luck, and happy job searching! Want to see how your resume stacks up? Request a free resume critique today!